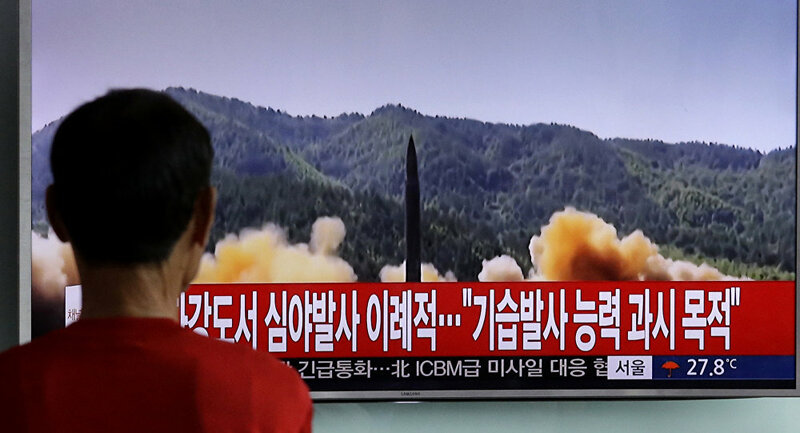 TOKYO (Sputnik) - North Korea has agreed to destroy intercontinental ballistic missiles and will for the first time give inspectors access to its nuclear stockpile, Japanese media reported. A group of CIA and nuclear experts arrived in North Korea for a week-long visit in late April, sources told the Asahi Shimbun newspaper. The talks culminated in Pyongyang’s agreement to destroy its ICBM arsenal, the daily said, although the timeframe and what it will get in return remains open for debate. The negotiations were held in the run-up to the planned summit of US President Donald Trump and North Korean leader Kim Jong-un in the coming weeks. The complete de-nuclearization of the Korean Peninsula is expected to dominate the historic meeting. Earlier in the day, Donald Trump hinted on his Twitter page at a possible release of three US hostages from North Korean custody amid media reports that three Korean-Americans had been freed from labor camps in North Korea. In late April, the North Korean leader Kim Jong-un and South Korean President Moon Jae-in held a summit in the "truce village" of Panmunjom, during which the sides signed the Declaration for Peace, Prosperity and Unification on the Korean Peninsula. The two countries agreed in the document to a nuclear-free peninsula and talks to bring a formal end to the Korean War.